SalaFrom is a dry salter that can be fed manually or incorporated in a complete and fully automatic line. A lower fluidized bed creating a salt cloud as well as a salt curtain for the upper side guarantee very accurate salting standard deviations. 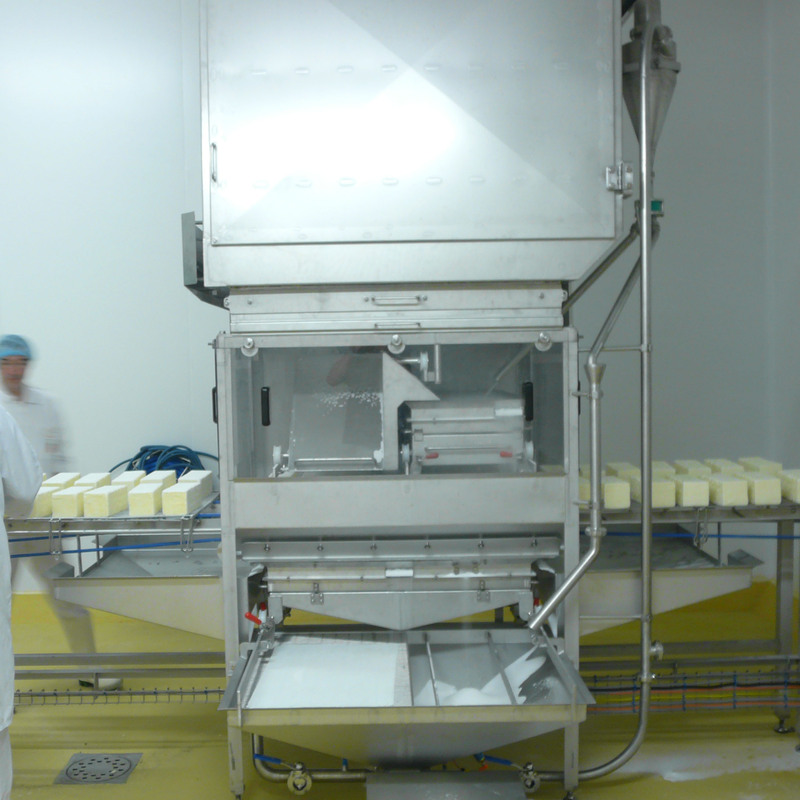 A proper salt distribution on each sides of the cheese is ensured by: shift speed of racks/salt spraying rate. 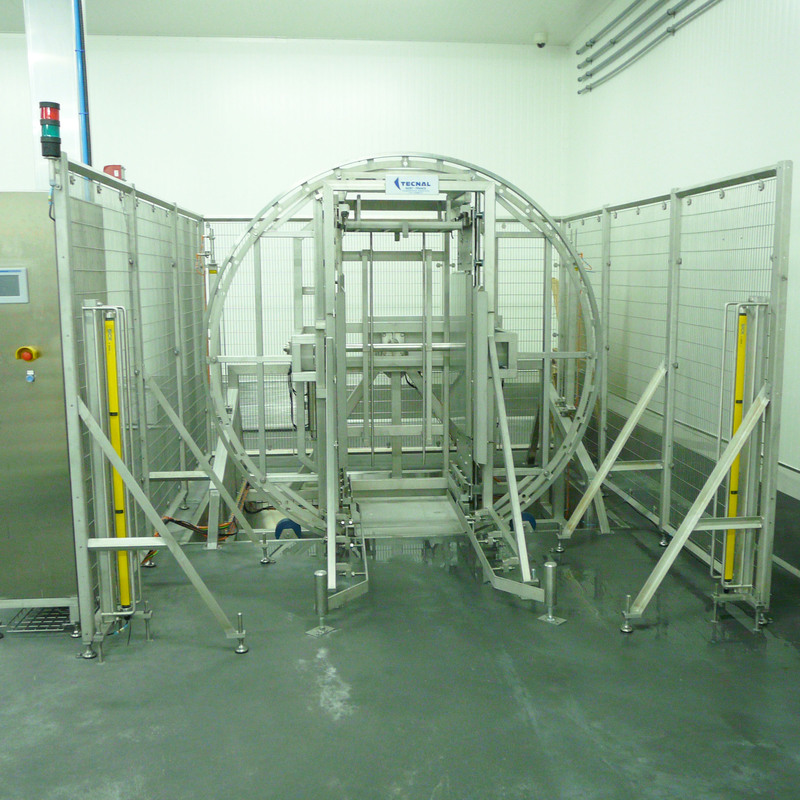 This equipment is made of 316L stainless steel. Rate up to 1,000 racks/hour.